Secure Data Recovery Services provides Northern Illinois with easy access to our industry-leading data recovery services through an office in Schaumburg, Illinois. We specialize in hard drive repair, RAID recovery and other advanced data loss solutions, and all of our services feature advanced security and high success rates. This is a convenient drop-off location staffed with professional and friendly receptionists trained in all aspects of the data recovery intake process as well as packaging and shipping services. The staff at this location will assist in answering questions, starting a new case, receiving, cataloguing and packaging the failed media to one of our certified data recovery LABs. Conveniently located near the Chicago loop, Schaumburg has gradually developed from a small suburb to the thriving economic center of Cook County. The city is home to more than 74,000 people, and it has grown extensively since the early 2000s. 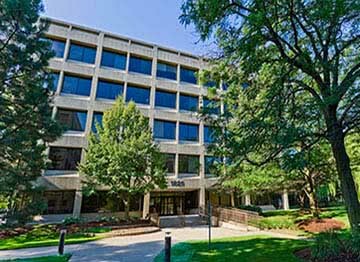 As a leader in Illinois data recovery services, we established our Schaumburg office to provide an efficient set of options for computer users in Cook County and the surrounding area. By adopting the Better Business Bureau’s services standards, our Chicago facility maintains full accreditation and a top rating. We also offer free media diagnostics for hard drives, solid-state drives, flash media, RAID arrays and other devices. Our diagnostics provide you with a price quote, turnaround estimate and other important case information, and if you choose to proceed with data recovery, we offer a no recovery, no service charge guarantee to help control costs. Contact us today for more information or to get started. Media repair is a highly advanced technical process, and in order to provide our Illinois data recovery customers with the best possible service, we frequently invest in our laboratory tools and equipment to maintain high success rates. Secure Data Recovery Services was one of the first companies offering dedicated options for server repair, data tape recovery and other advanced solutions, and we always take appropriate precautions from the moment your media arrives. We own and operate the industry's first Class 10 ISO 4 Cleanroom, which protects hard drives and other sensitive devices during delicate micro-surgical repairs. Our engineers have years of experience with every popular operating system and file type, and they leverage this experience with state-of-the-art technology to treat every case effectively. Security is an extremely important aspect of our services. We hold a SSAE 18 Type II SOC-1 certification, and our strict access controls comply with many common industry regulations and federal requirements. We offer HIPAA-compliant data recovery services, and as a member of the GSA contractor schedules, we offer special options for Illinois government and military offices. When you send your media to Secure Data Recovery Services, you can choose from several turnaround options. We offer high-priority services for emergency situations, and our engineers can work on your case 24/7 to provide the fastest possible results. Every service option features the same dedicated security controls and best-in-class technology. To prevent accidental media damage, turn off your computer at the first sign of failure and keep it powered off. Disconnect its power source. Do not attempt to run data recovery software or read your media with another computer, as this could exacerbate physical damage. Contact Secure Data Recovery Services to set up diagnostics. We will provide detailed shipping instructions to protect your media during transit; alternately, you may drop your device off at our Schaumburg location. We also offer local pick-up options throughout Illinois for emergency cases. Data loss can affect any computer user at any time, and we understand the challenges that can occur following a sudden failure. If you need to access files on a damaged device, Secure Data Recovery Services can fully restore your data in a matter of days, preventing downtime and other costly consequences. Our excellent security credentials and risk-free diagnostics provide protection as your case progresses, and our talented engineering teams can treat all types of failure while protecting your confidentiality. Call us today at 1-800-388-1266 to set up a case at our Schaumburg data recovery office or for more information. I worked with Fred who has been very helpful and reasonable throughout this process. I had tried to recover the drive myself using the usual methods but could not get too far. Thankfully Secure Data Recovery came through and I was able to recover my data. Its not a cheap option so make sure you back up data but they are not the most expensive out there either. The main thing is they are honest and can be trusted. I cant say more than that and yes I would recommend them again. Working with the Schaumburg Team and Fred was very smooth from beginning to end. They are very professional and they keep you up to date during every stage. The pricing is a little on the high end, but they were very accommodating to provide additional options. To have all my data recovered is definitely worth it! As with many of the reviews here, I made a terrible mistake of not backing up my data on a consistent basis. Unfortunately I lost a significant amount of family photos / videos and was sickened by what happened. After many hours of research I was fortunate to have found Secure Data Recovery. What sold me on their services was the reviews, the BBB ratings the Industry certifications all of which led me to use them for the data recovery. As far as customer service was concerned it was impeccable. Jeremy Provchy was my Data Recovery Specialist and he led me through the entire process, kept me informed on where we were at with the recovery, answered all my questions and was truly a great service representative. Secure Data Recovery was able to recover 100% of my data as well and for that I will always be a loyal customer should I ever need their services again. So, I'm an IT professional and I made the embarrassing mistake of not backing up my files for a few years. I had a hardware failure on the drive that had all my pictures of my children. Not good. I reached out to Secure Data late one night and had a call back from Frederick the next morning. He spelled out process for me. I sent in the drive using their easy procedure and within a couple of days had a prognosis. They were able to get all of the data off of my drive and shipped it back within a couple of days. All throughout the process I was kept up to date by phone and email. I couldn't be happier with the service. And my wife didn't kill me, which was a bonus. I literally thought i’d lost all my Date after taking my Hard drive to several different locations for repair. A friend referred me for Secure Data recovery and a spoke to a representative called Nick. He was extremely helpful and thorough with the information he gave about the drive after the initial data analysis. We then proceeded to take it to the next stage which is the recovery. I shipped the hard drive to them at no expense and they took care of everything. Two weeks later, I received my drive back with my date recovered. All around great service and I’m very happy.